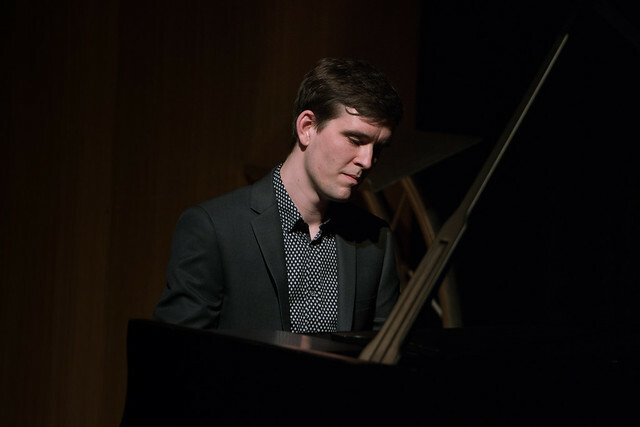 Even after cutting his teeth in a wild ceilidh band, the Scottish pianist reveals there's plenty more to be learned as a Royal Ballet accompanist. Colin J. Scott grew up with the piano. Born in Lanark in Scotland, his father, a minister, was practising the piano down in the church when his mother went in to labour. After watching his father play, he started to improvise at home and began lessons at the age of seven. He focused on music in his later years at the Douglas Academy in Milngavie, but as a young boy playing in the local ceilidh band, he had no idea the road would lead him to the Royal Opera House. ‘Once the police had to be called to the village hall because it got so crazy. We got shut down,’ he grins. It sounds like a fun memory, and it’s evident that Colin gets a real buzz from hearing music being enjoyed by an audience. ‘I like when things have a bit of a bite to them. I like when an audience feels like they can join in with what they’re hearing,’ he says. ‘I’ve learnt a lot about myself – about being a professional and what it means to work hard with not a lot of time on your hands,’ he says. When he left the Birmingham Conservatoire, Colin found there was a job ‘playing class’ at Elmhurst Ballet School and he has since played for Scottish Ballet, English National Ballet and the Royal Academy of Dance among others. Colin has worked on Royal Ballet productions from both modern and classical corners of the repertory including Age of Anxiety, Don Quixote, Swan Lake, The Four Temperaments, La Fille mal gardée, Giselle, Romeo and Juliet and Within the Golden Hour, which has provided him with a range of scores to master and musical styles to experiment in. Despite his remarkable training, Colin doesn’t like to rank music in any sort of hierarchy. Colin leaves the Programme this summer armed with an impressive repertory and skills that have left him with the prospect of playing for class and working on productions for other companies around the country. He’d also like to collaborate with artists from other genres to produce his own eclectic sound – but he’s not worried about stepping away from the classical world. Colin J. Scott will perform in Jette Parker Young Artists Summer Performance. Tickets are still available. The Jette Parker Young Artists Programme is generously supported by Oak Foundation. Find out more about the Programme.